It's nice when strangers like my photos. 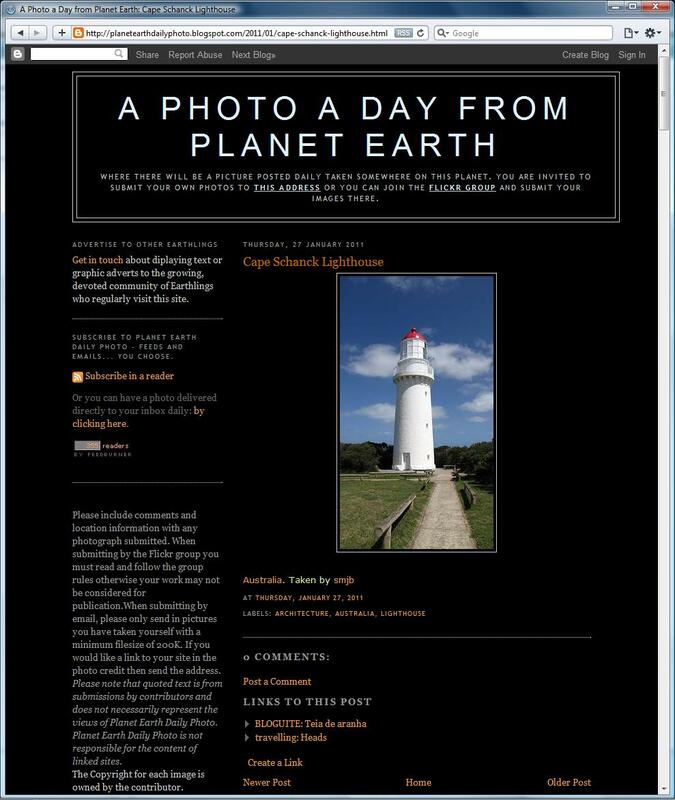 In October 2009 I told you about one of my photos (showing motorbikes on their way to Phillip Island for the Grand Prix) appearing on the blog site A PHOTO A DAY FROM PLANET EARTH. From time-to-time I will add photos to their flickr group, and this week they chose my photo of the Cape Schanck Lighthouse to publish on the site.